Delphine Macarty Lalaurie was a wealthy white New Orleans woman infamous for cruel treatment of her slaves. Rumors of her atrocities had been circulating for years, and on the morning of April 10, 1834, a fire at Madame Lalaurie’s  Royal Street mansion revealed seven bondspeople who had been starved, tortured, and chained. As the day went on and the sheriff did not arrest the culprit, an increasingly angry crowd gathered around the Lalaurie home. 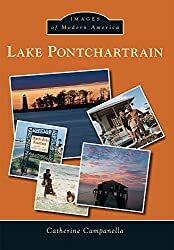 Finally her carriage burst out of the gate and sped to Lake Pontchartrain, where she boarded a schooner. The mob, enraged by her escape, nearly demolished the empty house. The lurid nature of the actual events gave rise to subsequent rumors, urban legends, and folktales. Madame Lalaurie, born Marie Delphine Macarty on March 19, 1787, was a member of the powerful Macarty clan, which included military officers, planters, merchants, and government officials. She was the daughter of the Chevalier Louis Barthélémy Macarty and his wife, Marie Jeanne Lerable. In 1800, at age fourteen, Lalaurie married Ramon López y Ángulo, newly arrived intendente of the Louisiana colony, a position second in command to the governor. Because López had contracted marriage without royal permission, he was relieved of his duties and sent into exile. He was eventually pardoned and given the position of Spanish consul to New Orleans. He died off the coast of Cuba on the return trip, and Lalaurie gave birth to their daughter in Havana in 1805. Two years later, Lalaurie married Jean Blanque, a merchant, lawyer, banker, state legislator, and political intriguer, who was also a slave trader, smuggler, and associate of the pirates Jean and Pierre Laffite. Lalaurie had three daughters and a son with Blanque before he died, deeply in debt, in 1815. Lalaurie settled Blanque’s estate and skillfully managed the land and slaves inherited from her parents. As a result, she was a very wealthy woman when she met her third husband, Dr. Louis Lalaurie, in 1825. Lalaurie was sixteen years younger than Delphine, newly arrived in New Orleans after graduating from medical school in France. A son was born five months before their marriage in 1828. The couple proved to be incompatible and lived apart much of the time. 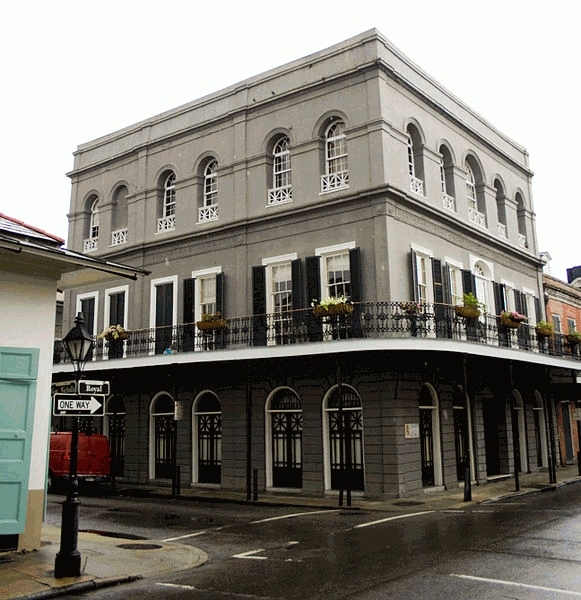 NOTE: According to The Collins C. Diboll Vieux Carre Digital Survey, the building pictured is not the same building inhabited by LaLaurie which was so badly damaged during the attack on the home that it was demolished. Also, her residence at the time of her death has been debated (Paris or New Orleans?). Recent information indicates that she returned to New Orleans where she died. Photo of the Fifth District police station groundbreaking ceremony, April 10, 1991, includes District Commander Captain Mitchell Dusset, Councilmember Jacquelyn Clarkson, Police Superintendent Warren Woodfork, Councilmember Lambert Boissiere, and Councilmember Johnny Jackson, Jr.
April 10, 1978 ad heralding "The Beginning Of A New Tradition": (Chief) Meteorologist Bob Breck. Robert E. Zabrecky migrated south from Dayton, Ohio to join Channel 8 on this day in 1978 to succeed longtime weathercaster Nash Roberts, who'd moved on to another station a month before. Bob's first major assignment was the May 1978 flood. Photo of advertisement. Thanks to Aaron Handy III for sharing this information. Photo of Sidney H. Cates, III, Assistant Chief Administrative Officer (Federal Programs Coordinator for Mayor Landrieu), April 10, 1972. From April 10 throug 15, 1910, the Annual Session of the Ancient Arabic Order of the Nobles of the Mystic Shrine ("Shriners") held their convention in New Orleans. View a postcard from ca. 1910 showing the Fruit Market building that once sat upon the space now occupied by the Jeanne d'Arc statue at St. Philip Street between Decatur and North Peters--directly in front of the Vegetable Market building -- which includes a sign reading "Glad U Kum" sign sitting amidst the fruit being offered for sale. Paul Bertus, Recorder of first Municipality was Acting Mayor from April 10-May 12, 1838 and again from February 7-26, 1843. During prohibition, North Carolina native Charlie Cantrell was running rum in Plaquemine. He was also a master of the "Shake Up" which involved mixing grain alcohol with flavorings to create concoctions tasting like gin, whiskey, rum, and other liquors. "Sometimes it wasn't too good, but it could get you drunk", said Cantrell. Benson Harrison "Pat" O'Brien was a customer who bootlegged liquor back home to Birmingham. They became friends. O'Brien, after several business endeavors, moved to New Orleans and ran a speakeasy. After prohibition, on December 3, 1933 he opened a package liquor store at Royal and St. Peter Street. In 1934 he opened Club Tipperary at 524 St. Louis. (The advertisement at the right ran in the Times-Picayune on March 18, 1934.) Cantrell financed it. Then, as equal partners, they moved to another location in the 600 block of St. Peter Street across from the original store. Cantrell later bought 10% of O'Brien's share, making him the controlling partner. In December, 1942 they moved to the current location of the world famous Pat O'Brien's bar at 718 St. Peter and called it Pat O'Brien's. The building was historic long before Cantrell and O'Brien made it famous. Built in 1791, it housed the first Spanish theater in the United States. The famous Hurricane cocktail was first mixed there 146 years later. In 1937 a liquor salesman was hawking 60 bottles of rum at a bargain basement price and would even throw in 15 dozen glasses shaped like the globes of oil fueled hurricane lamps. The rum wasn't selling as Cantrell had hoped, so he decided to experiment. He mixed 4 ounces of it with red fruit juice and sugar, and instructed his waiters to tout these drinks. Customers loved them and their glasses. Cantrell, a savvy businessman began selling both. That same year (1937), Mercedes Paulson and Sue Wheeler first performed together at the dueling pianos (thought to be the first in the country). "Sue" was actually Sara Belle Wheeler, a native of Vicksburg who had been educated in New Orleans. She passed away on Saturday, March 10, 1956 at the age of 38 after having played at Pat O's for 19 years. Mercedes LeCorgne Paulson, a native New Orleanian, died on Thursday, April 10, 1980 at the age of 74. Her booming baritone, which graced main bar for 32 years, is still remembered by many. She retired from Pat O'Brien's in 1968. Charlie ran the business. Pat handled the customers. They were perfect partners for the business. During World War II, Cantrell worked in a defense shipyard where he met George Oechsner, who would become the bars General Manager, taking Cantrell's place and becoming part owner in 1947. In 1979 Oechsner's son George "Sonny" Jr. took over the role. It was Sonny's idea to begin franchising and Pat O'Brien's bars sprouted up in Orlando, San Antonio, Memphis, Cancun, and Destin. Sonny also added a restaurant upstairs, purchased a building on Bourbon Street for expansion, opened a location at the Jaz Brewery, introduced an online catalog for selling branded items, and acquired a bottling plant. The guys who ran the place for so many years are all gone now. Pat O'Brien died on November 10, 1983. Geroge D. Oechsner Jr. followed on December 11, 1990. Charlie Cantrell passed away on March 23, 1993. Sonny died on March 12, 2012. But the business the two bootleggers started and the local men continued remains, now an iconic New Orleans bar known around the world. Upon Sonny's death, his daughter Shelly Oechsner Waguespack became Pat O'Brien's president and sole owner.